Gigabit modem: check. Wireless AC router: check. 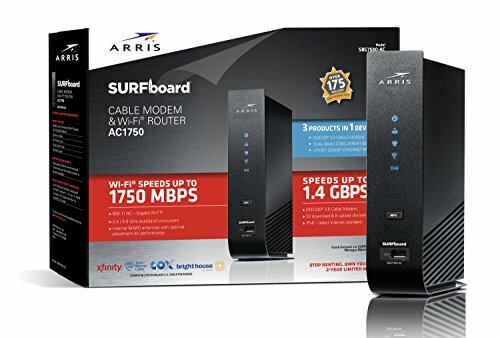 If you have a gigabit connection at home and are looking for a 2-in-1 wifi modem, this is the most up-to-date device on the market. With speeds up to 1750mbps, this is ideal for future proofing your network for years to come. Alternatively, you can opt for the non-wifi SB6190 model and get a separate router to save money and make it easier to update in the future.